Tablets running on Android have yet to reach their full potential, according to the operating system's VP of product management Hugo Barra, who called on third-party manufacturers to up their game. 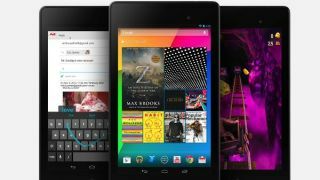 Despite launching a brand new version of the blockbusting Google Nexus 7 tablet last Wednesday, Barra said Android hadn't yet 'put its best foot forward' when it comes to creating tablets to rival the iPad. Speaking to The Verge, he lamented the lack of a tablet (or ten) in the style of the HTC One smartphone, with high-end premium design, running on the Android OS. He said the Nexus 7 is coming close to achieving those goals, but said OEMs must do their bit by creating top shelf devices with the same polish and finish as their flagship Android smartphones. He said: "If you look at the execution that HTC did on [the One smartphone], it's pristine. Why hasn't someone done that on the tablet? Or on like ten tablets?" "I think we are perhaps coming close to it, but this is a $200 device. "If you were to price it at $300 or $400 you could do something a little bit more in that territory in terms of polish and finish and materials and so on. "Why hasn't that happened yet?" "Doing that at the $400 category can be done and it will. In my opinion, the Android ecosystem has been lagging behind a little bit but is catching up." Barra also claimed tablet-optimised Android apps are now becoming commonplace on the Google Play store, estimating 60 per cent of apps have now been tailored for tablets, while the disparity between iOS and Android gaming experiences has also diminished.